My main goal for 2018 when I began this challenge was to make it to the end of January without buying one thing that I consider a part of this challenge. Included items are things like clothes, shoes, homewares, that kind of stuff. Over the month of January I saw various posts from other people which gave me some new ideas.. So I’ve added in a couple of extra goals to this challenge. Some parts of this post might be a little boring, other parts might inspire you to set yourself a new challenge. That does not look like much, but when you click on the tab at the bottom, it does this! MAGIC! This will help me to set goals and also to streamline the way I do things. I would love it if I can get my spend day down to once a fortnight plus my occasional mani/pedi. 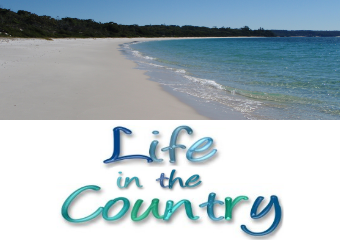 Just a note about the TVSN there – that is a part payment for my exercise equipment I bought in December. 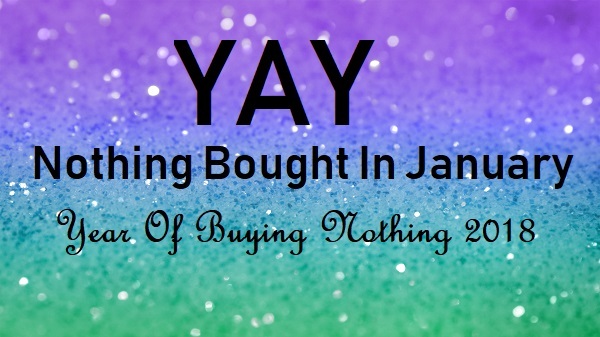 While I am not counting that in my buy nothing 2018 challenge, because I did not buy it in 2018, I *am* counting it as a spend day. My current No Spend nemesis is mushrooms. Right now we usually do one shop a fortnight and a small top up the following week, usually just fresh beef mince and fresh mushrooms for my pizza. I can freeze the beef but I have never frozen mushrooms before. I’ll give this a try next grocery shop and then foodsave the mushrooms and freeze them. If that works, I might do a big mushroom prep once a month and freeze enough for pizzas that month. I managed a total of 21 no spend days in January, with one long streak of 8 days with nothing spent. I could have managed 12 days if not for the fact I needed to get a script at the chemist on the 18th. But, bonus, I figured I might as well stock up on things while there, so I would not have to go back for a while. I think I have enough vitamins to last until March now. But wait, whoa, what is that big chunk o’money on the 14th there? That was grocery shopping plus a credit card charge for a hotel booking I made for a trip to Canberra in September. The price was too good to pass up and it is right in the middle of Floriade. February has 28 days. Why not try to make 23 of them no spend? I definitely will have two grocery shops this month, my TVSN will come out one day unknown ahead of time and I may need one manicure. I will be tracking our grocery spend for 2018 mainly to see if there is anywhere I can do things more economically, thanks to An Exacting Life for the inspiration on that one. This spreadsheet took us longer to figure out and create. Did I want to enter in all the information from our grocery receipts to one spreadsheet? Turns out, yes I do. And thankfully our Aldi Overlords have made this pretty simple for me. On every Aldi receipt there is a 4-6 digit number for each item. We buy the same items over and over, so I can have one spreadsheet with all those numbers and the item description. Then when I go to enter in the fortnightly shop, I just type in the number from the receipt and all the info pops up, then I can put in the price I paid for it. Coles did not make life quite so easy, but the good news there is, we really only buy about 30-40 items from Coles these days. So I will give those items their own item number, and print out a handy reference chart. Already I see one thing we will be changing. See soy milk at Aldi and then soy milk protein plus at Coles? Notice the $1 extra per litre I am paying for soy milk with extra protein? I get plenty of protein already in my diet, so I will be buying the plain soy from Aldi from now on. This week Aldi was out of Almond Milk, and I had to get it from Coles, where I discovered it is ALSO $1 more than I can buy it for at Aldi, as is the regular soy I normally get from Aldi!!. It is the exact same product. Why should Coles get an extra dollar per litre for almond and soy milk? I needed to buy it, but we have a large fridge and I can make sure to have a couple of backup containers with long useby dates in future. Sometimes Aldi does not have things that we need for our fortnightly shop. Leeks is one example. They tend to run out of leeks fairly regularly and I never buy them from Coles because they are so Up Money there. Leeks are a staple food for us, we use them instead of onions which we both tend to have a bad reaction to. I might have to look into freezing them. We also use a spreadsheet for our shopping list which you can see here, plus you can grab your very own copy all set up and ready to use. I will do a post on the grocery spreadsheet in March after I have been using it for a while, with instructions and a link to your very own copy. If you want a copy in the meantime comment here and I will email you one. I will do a mini-shop at Coles today as I am trying to stock up on specials we usually buy *and* to earn bonus points. 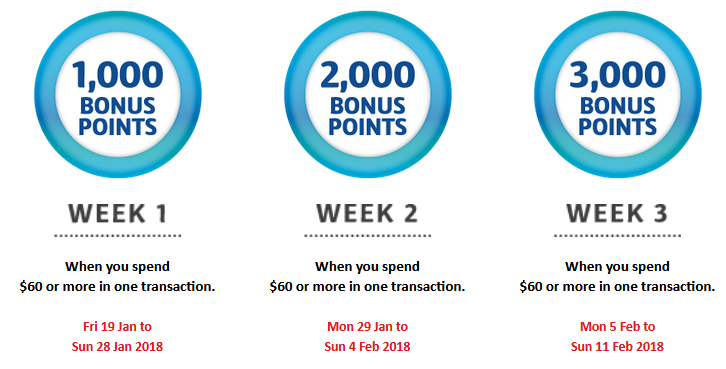 2000 points = $10 off a future shop, so I found enough specials in the second week and I have planned it out to exactly $60.72 – I can gain $30 off future shops. My plan for Coles this year is to stock up on the things we always buy that have long use by dates when they are on super special, eg cooking chocolate, cinnamon muffin mix, frozen fish fillets. That way I will not have to buy them when they are Up Money AKA not on special at all. I used one $10 bonus for Coles this month, without which our spend would have been $175.70, pushing us up to 22.20 spend per day. That is one reason I am willing to sacrifice a no spend day in order to earn bonus points. It is not something I would do all the time, though. Bulk buy chicken breast if it is on special. Stock up freezer items if they are on special. Can we get grocery cost down to $20 a day? This might depend on specials available at Coles. 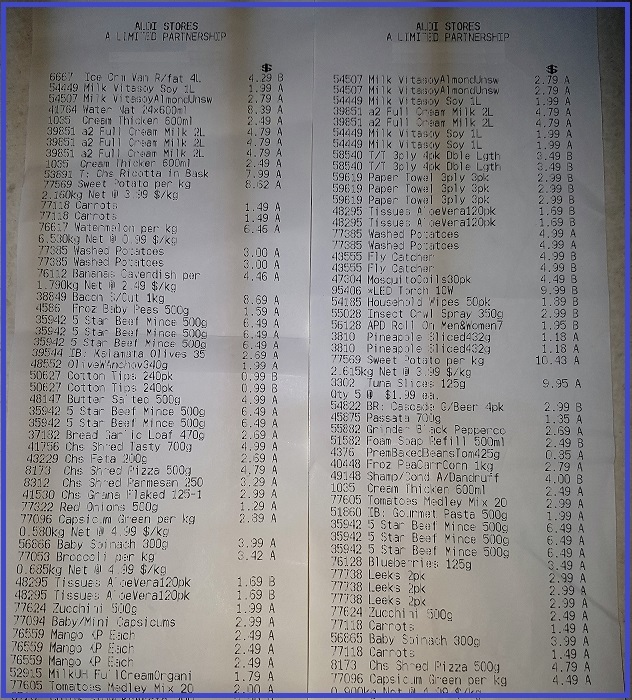 If I can keep Coles to $120 this month that would leave me with $440 for Aldi – 28×20=560 -120=440. Ahh, maths, my least favourite thing. But data, that is more interesting! My method is a little different. A shopping list, a limited amount of cash in my purse and a small freezer. Buy the food stuffs first, cat food second, adding up as I go and when I reach the limited amount I have with me, I checkout and go home. I don’t do the stocking up on specials anymore. Unfortunately the way Coles do things now, it really is not an option to not stock up when things are on special, at least not for us. Yesterday I bought two deodorants which normally retail for 12.94 each, I paid $12.94 for two of them as they were half price. That will last me until the end of 2018, I expect. Had I needed to buy one at some point I would have been deeply annoyed to pay $12.94 for just one, knowing I could have got it for half that price. And $6.47 per item is a lot of money to waste! Stockpile is a good plan for us because we know we will use these things. What I am not so happy about is the way the supermarkets are doing this. Nobody should have to stock up. If something can be available for half the regular price, why doesn’t COLES stock up and warehouse it, and then keep selling it at the lower price? I suppose that they do, but they prefer to sell it at the higher price. This is the game they are playing, I have NO idea why, and we are forced to play it as well, but there is absolutely no reason we can’t beat them at it by purchasing smart when the price is low and not buying at all when the price is high. Please do let us know if the mushrooms freeze well. If not, could you dry them and then rehydrate when you were ready to use them? I love spreadsheets. 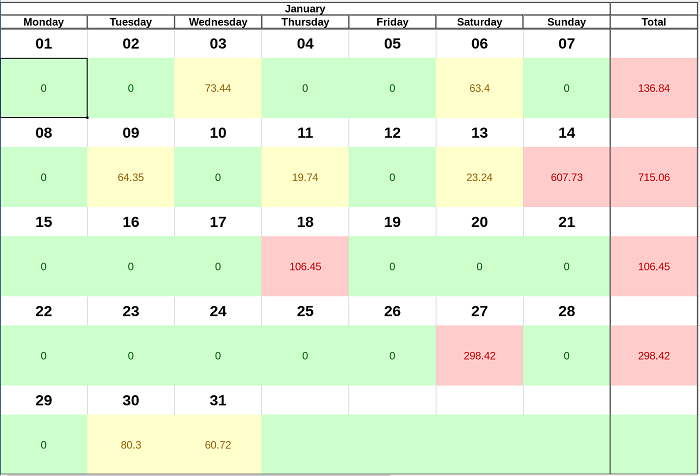 We budgeted at one irme in our lives and I created a spreadsheet for dail logging. What fun and what an eye opener. Unfortunately it takes two to tango. For the most part everything grocery related that we do is a shared effort but once we get to the checkout he unloads everything and then repacks it into the trolley. I did not realise just how much work he puts into that particular part of them shopping because he is always there to do it, but then when I went with my friend to Costco and he was not there, I was completely at sea, disorganised and not able to keep up with the checkout person. I also ‘discovered’ Dar a few years ago – isn’t she exacting ? The way she keeps a check on her life (and things) is eye opening. I don’t stock specials the way I used to years ago. We pretty well know what we like to eat and where it’s most economical to buy it. For example I found I was happier with my local butcher and that was the meat place to go – yes a bit more expensive than anything I’ve bought at any of the ‘big three plus Costco’ but better meat. Cooked more easily, less wastage as well. Good luck with your yearly task! Cathy, I did not realise until I did the spreadsheet just how much difference the specials can make to the bottom line, or how much money Aldi saves me on a regular basis because their prices are more consistent across the board. 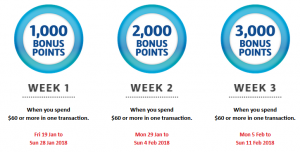 I’m planning an experiment where I take one Aldi shop and try doing it online at both Coles and Woolworths – not with their down down specials but with the items we would actually buy there – to work out how much shopping would cost me there – but I already know it is going to be eye-opening. Costco is a different thing again, especially for us as it is a 160km round trip minimum. I feel like I would have to factor that in as a cost. The specials can sometimes be amazing and if we lived closer I would make a lot more use of them. I did not renew the membership for this year and I am not certain that we will. I’d really love to know, too, how it goes with the mushrooms. I’m the only one who eats them in the house, and I can never finish them before they go bad since the only thing I use them for is sauteed mushrooms and onions when I have steak. I do think the foodsaver makes a difference in this particular case especially for freezing long term, but I think one could get away with ziploc bags if one was freezing for 2-4 weeks. A great way of dealing with leeks might be to fry them lightly in just a touch of butter or whatever oil you would use and then freeze in roughly the amounts you’d need for your most common useages of them? 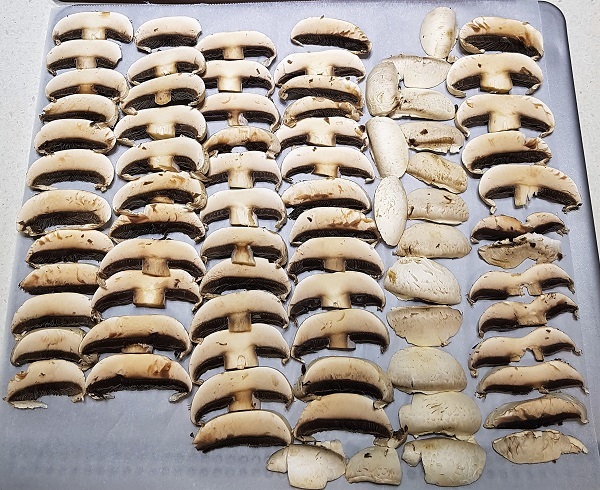 As for the mushrooms – you could dry them in a very low oven and then reconstitute before using? I most definitely would not be up for a mushroom-free life! Thanks EssexHebridean, I will have posts about how these things turn out, mushrooms are coming up next week – it worked out perfect. :) The one thing I was not sure about was how much weight of mushrooms to put in each packet but the second time I got it right. Have you done a post about your food saver? I’m interested in getting one as my husband will throw away meat with ‘freezer burn’. Hey Katherine – I have not but I certainly will put one together. ;) It has been awesome for us. I was really interested to see your spreadsheets – in the holidays I had a friend pop over and teach me basic excel to make my own spreadsheet to track my groceries. Next step is to make another page to deal with all of the other living expenses. I had been looking forward to this post! I love your spreadsheet. The only supermarket that uses codes for items here is Walmart. I am just back from two weeks in Toronto (an infinitely bigger city than Halifax), where I was visiting Link. Not only are groceries more expensive there, but Link is a big meat eater as well (I am veggie) so, what an eye opener to see what it costs for others to eat the way they do! In the past year, I have started stocking up more. I hear that vendors of packaged foods like cereal and crackers, do promotions on a roughly 12-week cycle. I expect the reason the stores go along with it, is that they are paid for product placement when the vendors’ items are on special. Good luck with your No Spend Days, and have a great February! How do you – or do you – keep track of sale items?